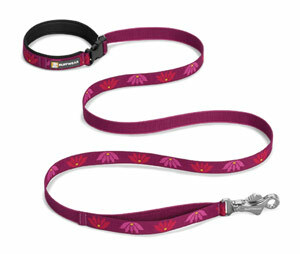 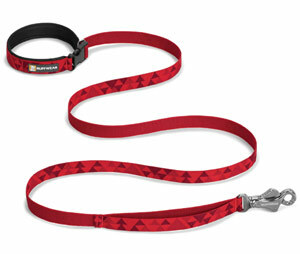 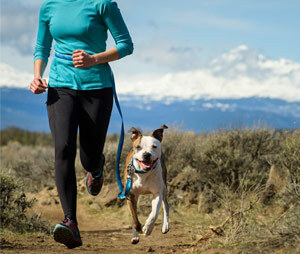 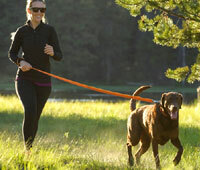 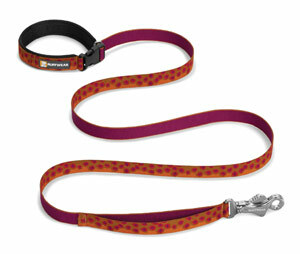 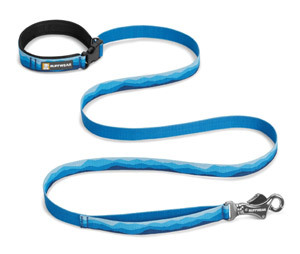 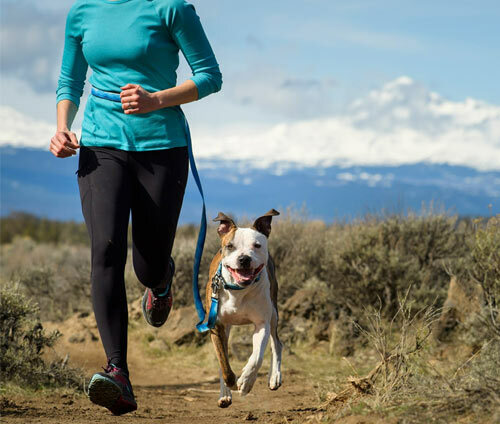 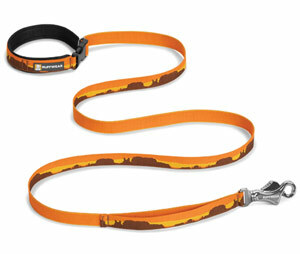 The Flat Out dog lead by Ruffwear is a 6 foot long webbing lead that can be hand held or waist worn. 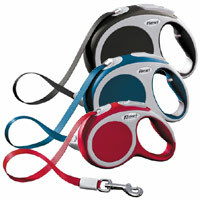 Great for everyday walks or hands free activities with your dog. The adjustable handle can be hand-held in the standard way via its padded handle or extended and worn around your waist for hands-free fun or even to tie round a tree while you enjoy your lunch. 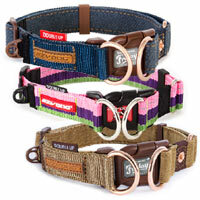 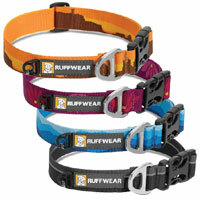 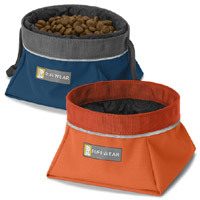 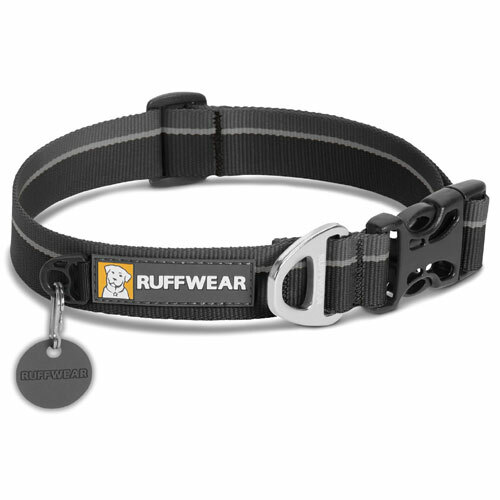 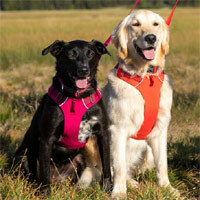 The main part of the lead is Ruffwear-designed Tubelok webbing. 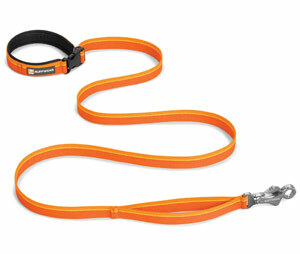 These leads are strong, durable and beautifully designed. 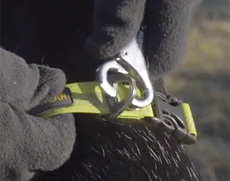 The far end of the lead has a traffic handle incorporated. 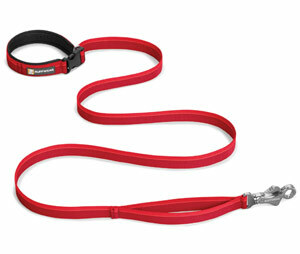 Perfect for times when you need closer control of your dog. If you are interested in this lead but with bungee stretch, you may like the Ruffwear Roamer Dog Lead (see below).